January 15, 2019 -- As a dental consultant, many of my clients ask why their treatment acceptance rates are so low. In most cases, I tell them the answer is simple: It's because you probably are talking at your patients instead of with them. Practice management consultant Jan Keller. That you are concerned about them as a person first and as a patient second. That you understand what their fears and concerns are, even if they make no sense to you. That you will accept their decision, even if you disagree with it. In other words, is the conversation you have with them about needed treatment based on them -- or on you? Many doctors are frustrated to find that patients appear to go along with the recommended treatment only to find out later that they did not make financial arrangements, let alone schedule the treatment. You didn't know how to say no. You were embarrassed about something, but uncomfortable saying so. You just wanted to get out or away without hurting someone's feelings. So, what is your practice's system in regard to treatment planning? Is it only about diagnosing, or is it a collaborative effort by the entire team and patients to understand their concerns and the treatment's benefits? In other words, are your patients given an opportunity to participate in the decision? I also advise my clients to ask these questions as well. Do patients help co-diagnose, or is it only a hygienest/doctor diagnosis? Do you have all of the necessary records to show the patient why you are making the diagnosis you are? Do you help patients understand and make an informed decision by offering photos, x-rays, and educational aids that they can use with you and/or their hygienist to discuss during treatment? What is your "hand-off" system? From hygiene to doctor? From doctor to hygiene? From hygiene to admin? From admin to scheduling or finance? What seems like an agreement to treatment to you can fall apart easily if the entire team is not rowing in the same direction. I ask my clients if they are prescribing treatment or making a recommendation. I believe that patients perceive your treatment recommendations differently when they are presented as a prescription rather than as a recommendation. If your physician prescribes something to help you feel better, do you say, "I'll think about it," and walk out? Probably not. It is important to discuss the risks and benefits of treatment with patients, so they can truly understand the importance of their decision. It is also important to acknowledge any concerns they may have regarding moving forward with prescribed treatment. When my clients ask, I recommend that they start by stating the purpose of the proposed treatment, then present the risks and benefits, and then give patients options. How are you monitoring the patients (daily or weekly)? Are you tracking the dollars presented? Are you tracking the dollars patients agree to and schedule, as well as the reason for their delay? What system is in place to follow up with patients who elect not to accept? You need to address both the benefits of moving forward with treatment now as well as the risks that can occur if treatment is delayed. Documentation is key whether patients accept or decline. If patients agree to treatment, there is financial documentation, appropriate information, and consent. If patients decline treatment, they should be given a letter that explains they have been informed of the benefits and risks of the prescribed treatment. This letter should be signed by them to indicate they understand the ramifications of their choice to delay or decline treatment. If you need help in setting up a better treatment acceptance protocol, please contact me today. Don't let tens of thousands of dollars walk out your door every month because you are talking at your patients instead of with them. Jan Keller has more than 25 years of experience in dentistry as an office manager and a software trainer. 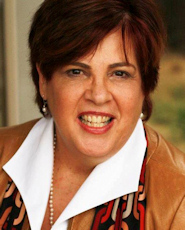 She is a member of the Speaking Consulting Network and the Academy of Dental Management Consultants. Contact her at info@jankellerassoc.com.